I have to admit that I've been a bit lackadaisical about managing our edible mushrooms for the last couple of years. Converting over to rafts and totems means that we don't get mushrooms in the summer. 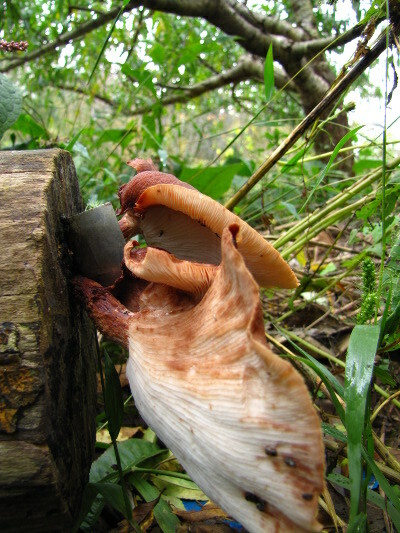 Our logs just bear in the spring and fall when cool, damp weather creates natural fruiting conditions for oysters and shiitakes. I don't actually mind taking an item off our summer list, though. 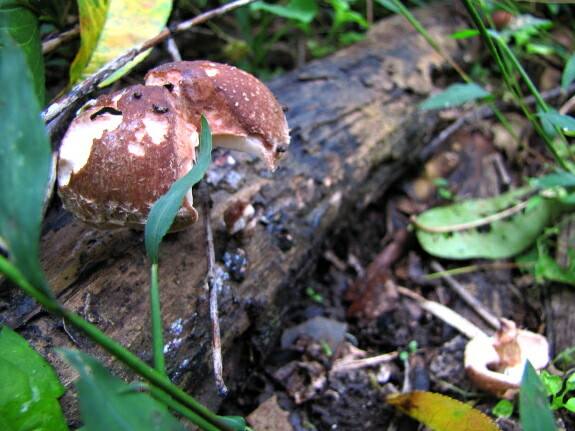 We have plenty to eat during the hot months, and so much to do that soaking mushroom logs feels like a chore. The main downside of my new methodology is that I tend to miss about half the mushrooms when they do appear. If you soak a mushroom log, you know it's going to fruit (or not) within a week, so you can schedule the day to check back. However, rafts and totems fruit when they feel like it, and there's really only a window of one day when the mushrooms are at their peak, so it's easy to miss. That's how I came to overlook the first fruiting of our magnolia stump. It's along a seldom-visited edge of our core homestead, and I didn't see the oysters until they'd shriveled up and gone by. The mushroom totems along the driveway, though, caught my eye on Friday when they bore their second flush of fruit, and that reminded me to check the totems behind the trailer yesterday. Quite a haul! We stir-fried Friday's mushrooms, but I'm open to suggestions for how we'll eat up the weekend's bounty. 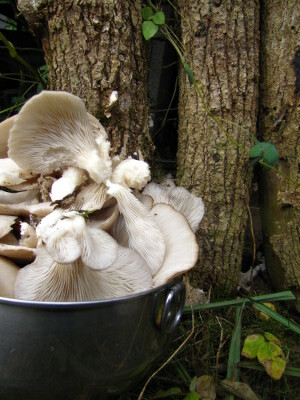 What are your favorite oyster mushroom recipes? Our chicken waterer provides clean water for healthy hens. I like to cook mushrooms in many ways. Mushroom soup is always a good one with garlic bread. Shish kabobs with mushrooms on the grill. Pickled mushrooms with garlic cloves. Mushrooms sauteed in butter with slivers of onion then placed in a grilled cheese sandwich and served with a salad and hot spiced apple cidar. Grilled mushroom in a cheese and tomato omlette. Do not forget to use the pickled mushrooms in macaroni and potato salads. 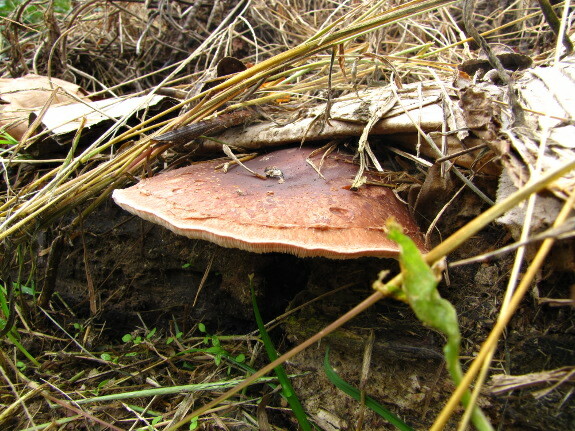 Mushrooms and dried tomatoes cooked on flat bread or pizza. Stuff mushrooms with your favorite stuffing mix and sprinkle with olive oil then roast in the oven till cooked threw. Chooped and mixed with chopped onions and bell pepper and stuffed into a chicken breasted. Then grill or bake till done. Mona --- Those all sound like good options! I think I'll probably just saute these since I also have to use up the last of the summer squash (and have a bunch of broccoli that could go well with them too). I'll have to remember your chicken breast recipe in two months when our last round of chickens are ready to eat.